Alan Hewitt from Dunham Massey just dropped off the first rhubarb of the season, aptly named “Timperley Early”. 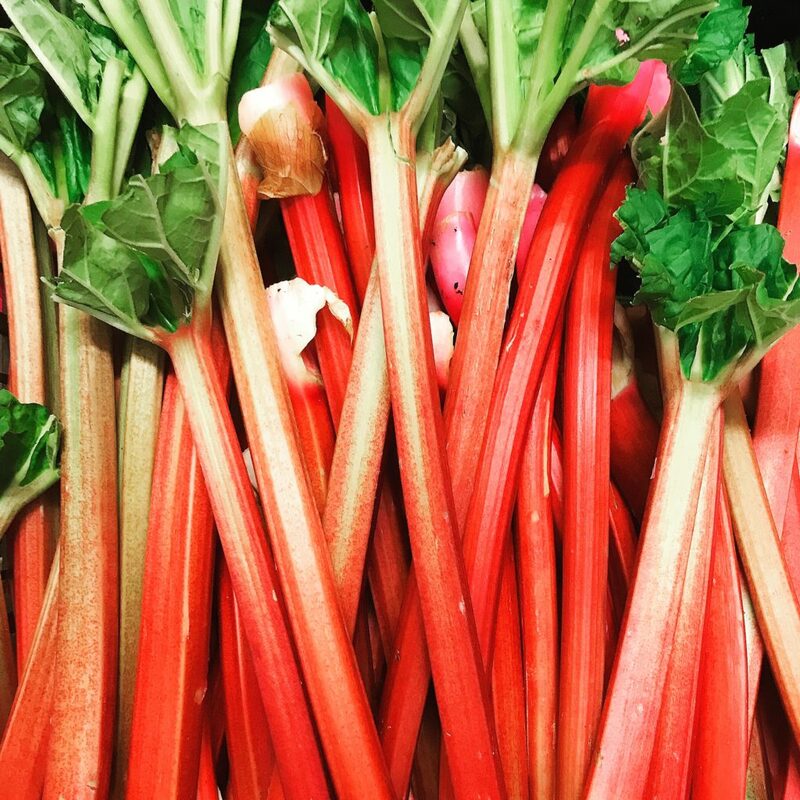 Rhubarb is of course best known for its suitability in desserts, but its tartness can also be utilized to good effect in salads and savoury dishes. It’s likely to be the only batch for a couple of weeks. This is the last week of Lancashire grown green kale. Luckily Francis Sampson in Cornwall enjoys a different (i.e. balmy) climate, which means he can grow brassicas for a longer period, so our supply is safe for now! A few highlights from Europe: Late season navel oranges from Spanish producer Biovergel are tasting amazing! And some new starters to get excited about: asparagus & blueberries, both Spanish as well. The UK (organic) asparagus season is still a good 5 or 6 weeks away. Glebelands, who are responsible for quite possibly our favourite product in our range (those lush, fresh salad leaves) have just made their first delivery of young plants. So if you have a little space in the garden and fancy growing your own, broad beans and peas are now in. They will just trickle through in the first few weeks, but we’re expecting good volumes of tomatoes, herbs and chillies later in the season.